We live in a world surrounded by constant internal and external stimulation. Floating is the ultimate escape – like pressing ‘mute’ on life for a blissful hour (or more!). Explore a world without distraction, where you can pay back your sleep debt, recharge your inner creative or free your body from pain and inflammation. Welcome to the divine world of floating. Floating can be traced back to the 1950s when Dr John C. Lilly developed the first float tank in an attempt to understand what happened to brain activity without any external, physical stimuli. At Astral Float Studio you’ll be able to experience the same state of sensory relaxation that Lilly found in a float tank. 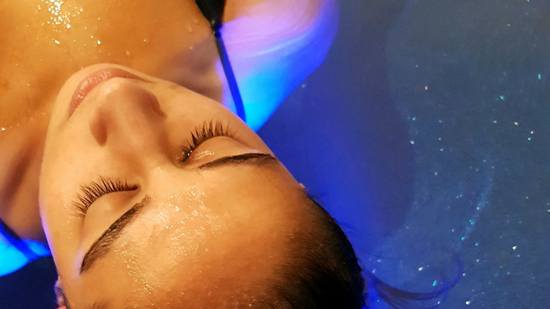 Providing float therapy in Canberra since September 2016, Astral Float Studio is now open north and southside, with our southside studio offering open, accessible float baths for people living with a disability or for those who are claustrophobic. Open seven days a week from 9:30am – 11:00pm, Astral Float Studio is proud to be Canberra’s first float studio. For more information about floating, wheelchair access and bookings, call Astral Float Studio in Bruce on 02 6109 0117 or Phillip on 02 6109 0116. Floating is the ultimate way to switch off the world and enjoy the pure bliss of silence. Your brain is at its most creative and inspired when there are no distractions. If you want to perform better at work or renew your creative energy, floating is the answer. If you need to invest more in your own health and happiness, float therapy is an incredibly effective way to reduce many symptoms of stress. Need to speed up muscle recovery? Floating helps to reduce lactic acid and muscle soreness, while feeding your body with more magnesium to repair faster. Plus, sleeping for one hour during a float is the equivalent of four hours sleep in bed. And there’s no better night’s sleep than the one post-float. Make a booking online. Looking for the perfect gift? Spoil someone special with an Astral Float gift voucher! “For the first time in nearly nine months I have just been able to reach up and un-peg clothes from my clothes line with my crook left shoulder. Must be the float!! I'll see what other improvements I have over the next few days." “38 weeks pregnant and the best thing I could have done! Went for a float after work and went from being so stiff and struggling to go from sitting to standing to being so mobile I felt like I could go for a run!!!! Definitely recommend and I'll definitely be back after baby comes!!!." I've been wanting to float for years, and having found out Astral was in Canberra on Tuesday the 4th, I was booked in on Wednesday the 5th. The very next day, first float ever for 2 whole hours. And the owners are 2 of the nicest most chilled out people I've ever met, I'm guessing due to all the floating they have done. Amazing. I'll be going back. I highly recommend this, even if you know nothing of it's benefits you'll soon discover what they are for you. For me apart from lower back pain significantly easing (I could hear vertebrae clicking as my body relaxed) it was how clear my mind felt and how relaxed I was afterwards. I work in the public service but in a really noisy environment. All that stress disappeared. Today at work no one is getting on my nerves and vice versa. Go float.